New Freedom, Pennsylvania – Last May, a raccoon wandered into a Hanover-area substation and wound up shutting down power to more than 5,000 customers and businesses. Now, a midstate company has installed an innovative product designed to make sure that never happens again. 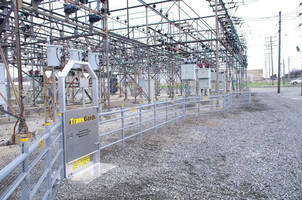 TransGard has completed installation of its patented fencing at Met-Ed's substation on Radio Road in Conewago Township. TransGard's fencing — designed exclusively for substations — delivers a mild electric shock that deters climbing animals but won't harm them, or humans. This humane approach offers the most effective barrier against animal incursion. The May outage in Hanover shut down power over an area that included Hanover Square and major shopping areas. Over several blocks, traffic and street lights went dark. The new TransGard fence, which encloses a 15,000-square-foot area, will prevent future animal-related outages by keeping squirrels, raccoons and other climbing animals from trespassing into the substation. Outages caused by animals are hardly a freak accident, notes Bill Reichard, president of TransGard. Climbing animals cause hundreds of outages each year that cost millions in equipment repairs, man-hours and lost revenue for businesses. "When a squirrel or raccoon comes into contact with the wrong equipment in a substation, it can create an arc that completes an electrical circuit," Reichard said. 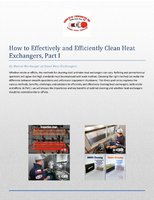 "This instantly electrocutes the animal and often results in power failure. It's far more common than people realize, and it's why so many power providers install TransGard fencing." TransGard, based in New Freedom, developed its fencing system to prevent animal incursions. The fencing has been installed at more than 2,500 substations owned by utilities, electric cooperatives, and municipalities throughout the U.S. and Canada. TransGard, based in New Freedom, Pennsylvania, developed patented fencing exclusively to eliminate substation outages caused by climbing animals. TransGard has installed fences at more than 2,500 substations in the U.S. and Canada. For more information or to view case studies, visit www.transgardfence.com.